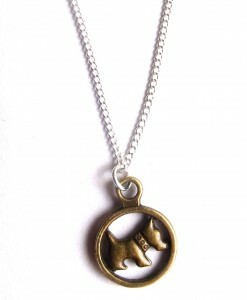 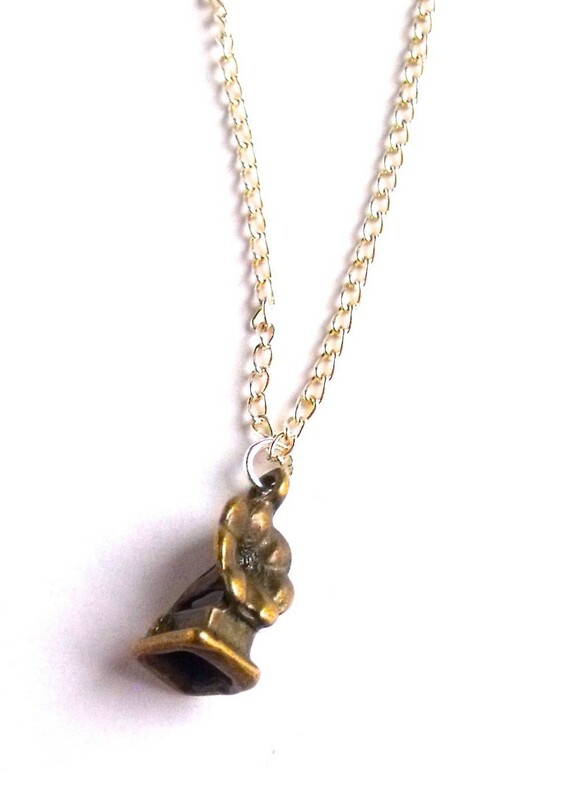 This gorgeous little gramophone necklace features a tiny bronze gramophone charm. 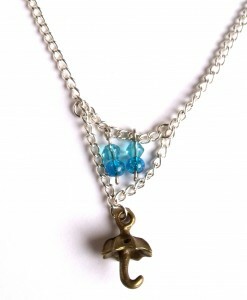 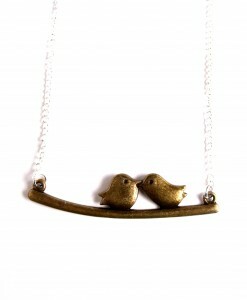 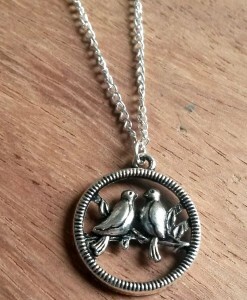 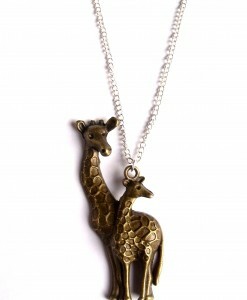 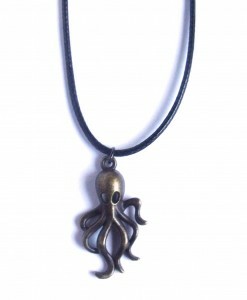 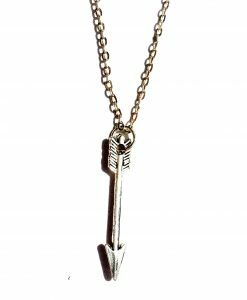 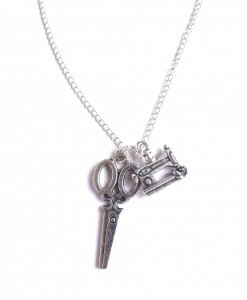 It’s the perfect quirky necklace for any music lover and adds a touch of old fashioned charm to any outfit. 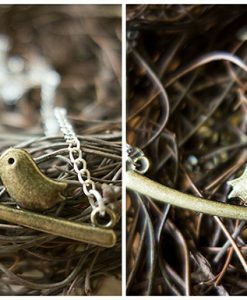 Whether you’re an avid vinyl collector or you just love all things antique, this gorgeous gramophone necklace is the perfect pendant for you. 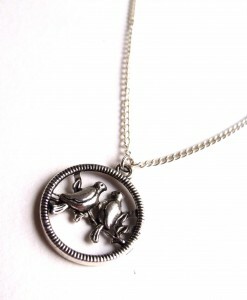 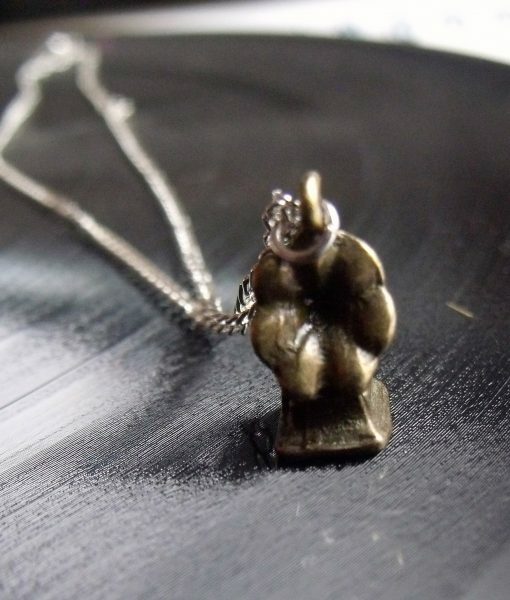 It’s been one of our most popular necklaces and we love the tiny gramophone charm – it’s so detailed. 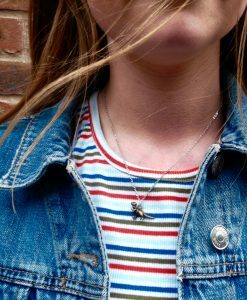 Like all of our necklaces at This Material Culture, it’s handmade in the UK. 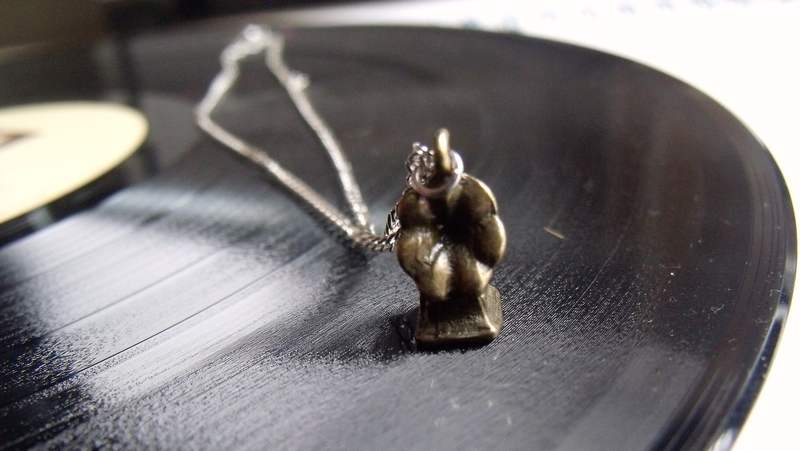 We package each gramophone necklace on a This Material Culture gift card. 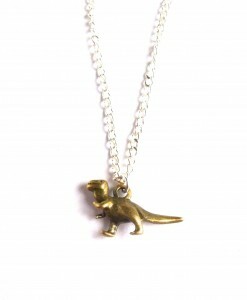 We gift wrap too! 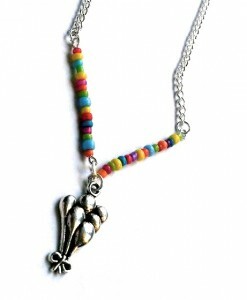 Wear with some rose earrings for a charming vintage look. 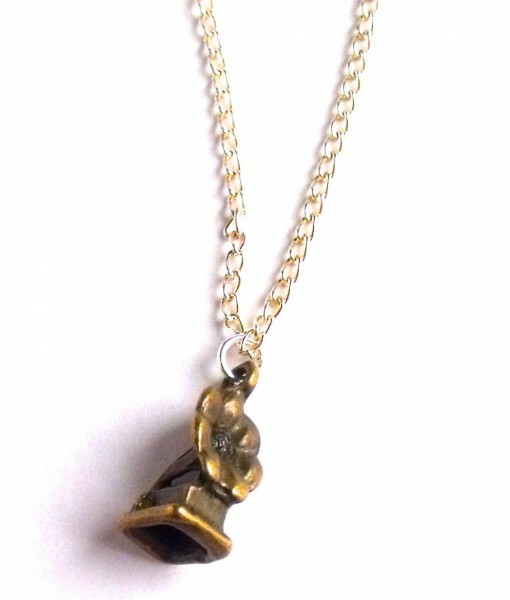 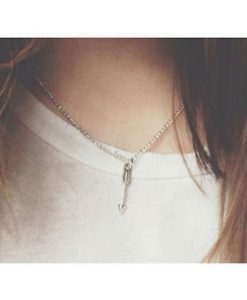 Our lovely music note necklace is also perfect for music lovers.